Vinland follows the turbulent life of Ranald Sigmundson, a young boy born into the Dark Ages when Orkney was torn between its Viking past and its Christian future. Struggling to understand the conflicts of his home, Ranald seeks adventure and knowledge across the seas, his journeys taking him as far as Norway, Iceland and Ireland. Through Ranalds story, many elements of early mediaeval life 'of seamanship, marriage customs, beliefs and traditions' are brought vibrantly to life, and the traditional poetry interwoven through the prose adds a richness and poignancy to the tales he tells. 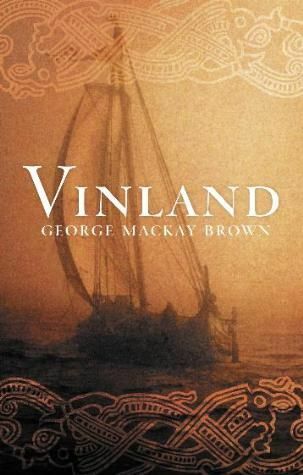 In Vinland, Mackay Browns fourth novel, lore and legend, the elementary pull of the sea and the land, the sweetness of the early religion and the darker, more ancient rites, create an exquisite celebration of Orcadian history.